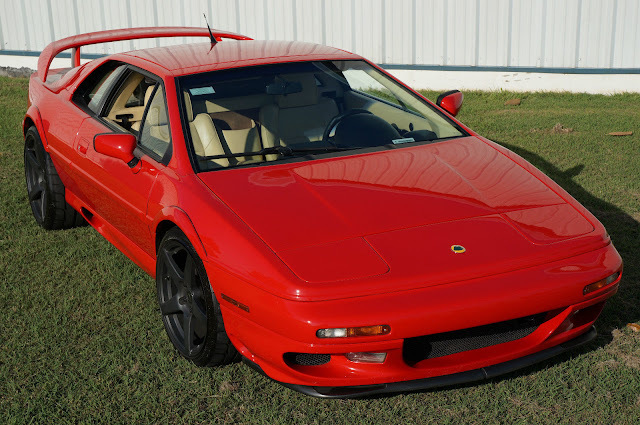 The Lotus Esprit is perhaps the least expensive ticket to a supercar ownership. 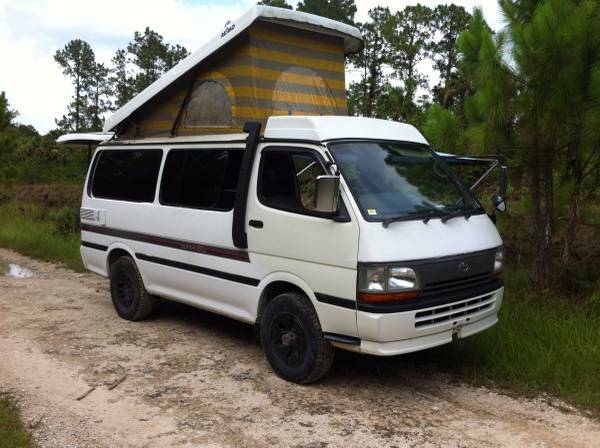 The late model Esprits are stunning and priced way below $40,000. See more from the seller on eBay. The Lotus Esprit is an iconic Super Car for its appearances in James Bond’s “The Spy who Loved Me” and "For Your Eyes Only" movies, and who can’t forget the scenes in “Pretty Woman” and in “Basic Instinct”. 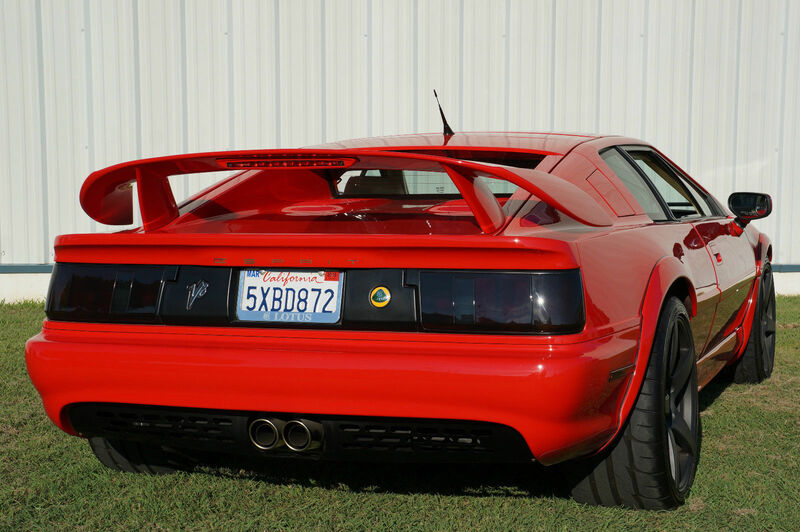 The Esprit’s timeless lines, amazing delivery of speed and performance make it an amazing collector car. It's not often that one comes through the doors of Flat 12 Gallery, as not many were produced or kept to the standards that we require. We were lucky enough to find this example in Southern California and are able to offer it for sale to the public. 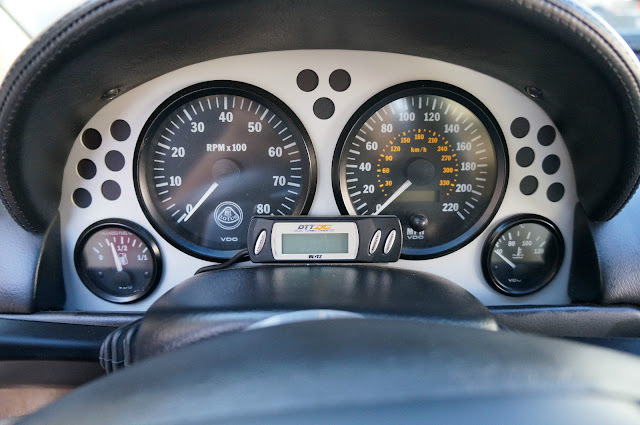 We believe that Lotus Esprits are quite the gem in both the performance department and upcoming collectability, like we have seen with Ferrari’s and Porsches of late. These cars, in our opinion, are a great investment vehicle and a pleasure to drive. Lotus was careful in keeping the Esprit production numbers low, with lifelong limited production numbers for ALL Esprits shipped worldwide from 1976 to 2004 coming in at 10,675 total units. Which if you average that number over the production years it would mean they average of only 381 cars built every year TOTAL! Although production numbers varied over the years, this 1998 Lotus featured here is one of only 301 were build that year with only 142 V8’s, 99 being V8GT's and 60 being GT3’s. So in true super car fashion they are an elitist, limited production super car. This 1998 B03 Calypso Red Lotus with Magnolia interior Esprit 3.5L Twin Turbo V8 is an amazing example of the Lotus vehicle. 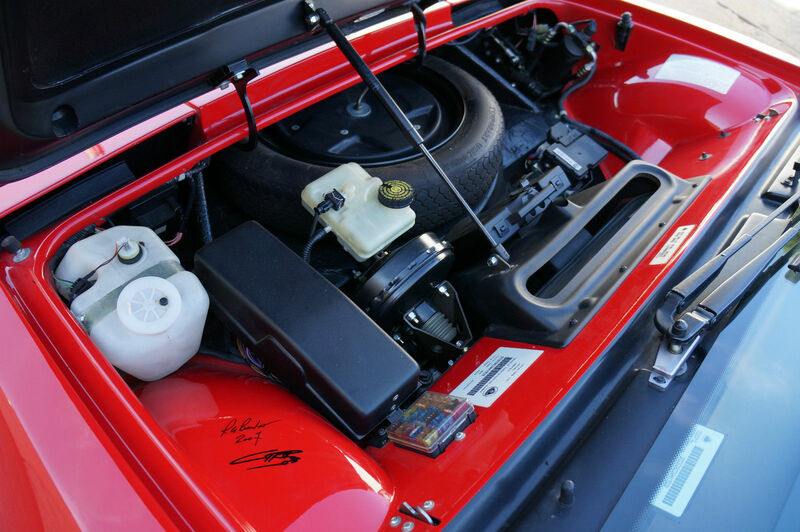 It has been well cared for with tatesful upgrades added to give it that timeless exotic sports car appeal. You can easily pull up to a million dollar ride and still feel relevant. The paint, finish and interior on this Epsrit will not disappoint, as it is apparent that the previous owners of this car wanted a top notch ride that didn't show its age. This example has two signatures on the inner fender one we have concluded is Roger G. Becker who was an important part of Lotus from 1966-2010 as Product Engineering Director and is also mentioned as a stunt driver in the James Bond thriller "The Spy Who Loved Me" and the second signature we are still researching. It was also photographed for an upcoming magazine feature and a sample photo has been placed at the end of the photos. The car you see in the photograph is this actual car. The B03 Calypso Red paint is extremely fresh with some rock chips present but with an overall thick fresh paint vibe. There are some scraps to the black lower valance on the front bumper from use and a few touched up rock chips. The Magnolia interior has not been re-dyed or as we like to say "spray dyed" which truly makes a difference when you get up close and once you feel the leather. 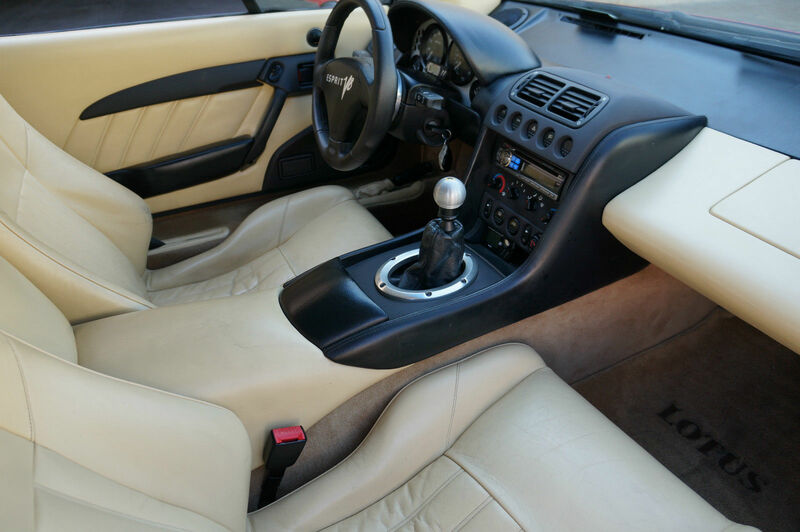 The interior shows extremely well and appears original with only some minor wearing to the boldest of the drivers seat. Normal leather creases are visible and are appreciated over a spray dyed look. The carpets, door panels, dash, gauges, shifter, etc are all in excellent condition. I have been around quite a few Esprits and many have issues with the seat leather shrinking and the paint vibrancy and often times they appear like a 90’s car. 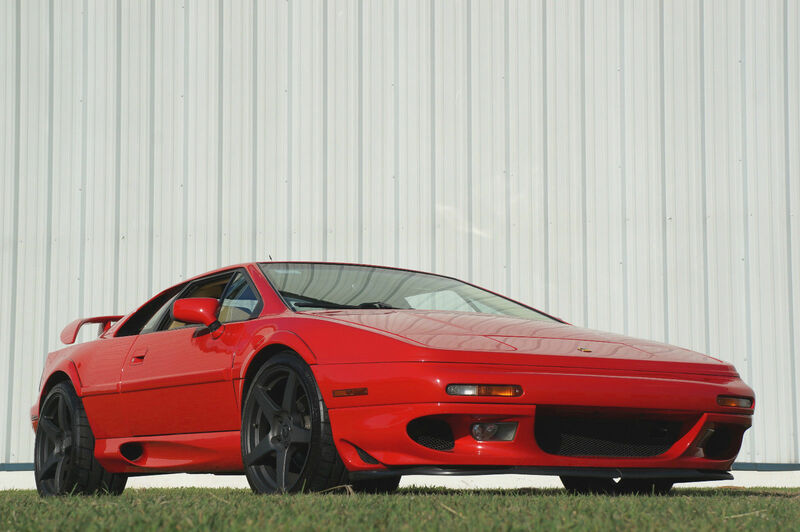 This Esprit looks like a modern supercar with its glossy red exterior, tasteful upgrades, custom black nicely staggered Forgestar Performance Wheels 18" in the front and 19" in the rear wheels that are wrapped in nicely treaded 225 40R18 and 305 30R19 Potenza tires. 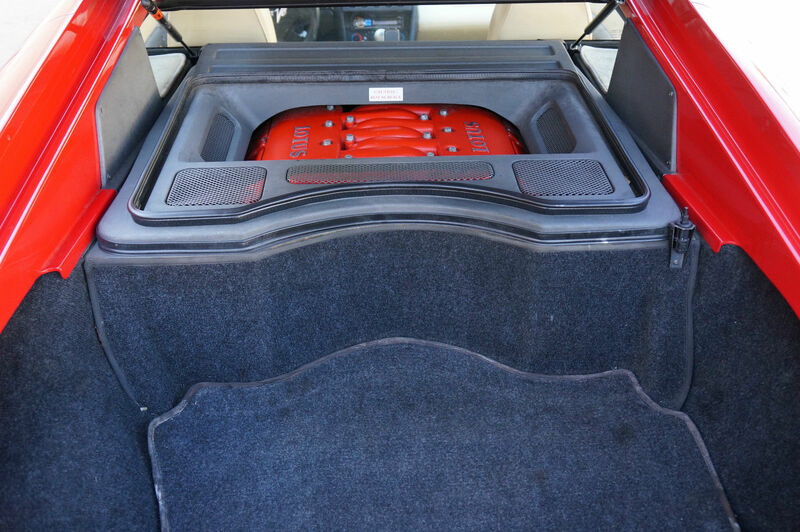 It is finished with a color matched removable Sunroof. I do want to remind the taller drivers that this model will house someone up to about 6'5" unlike the older versions. Take a look at the photographs as you will see a difference in quality of this Lotus. 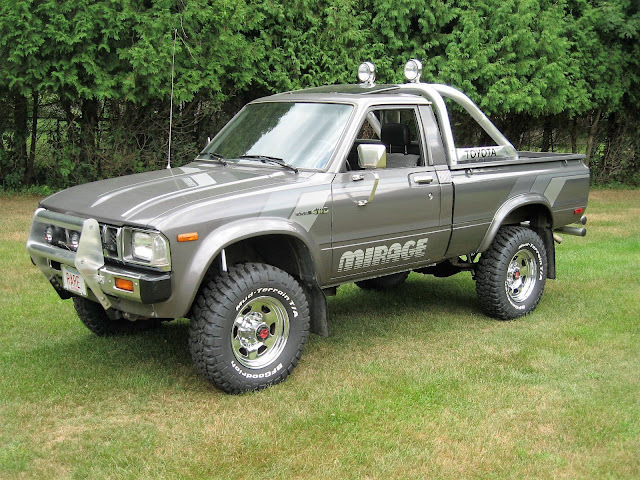 Powered by 3.5L V8 Twin Turno with 5 speed transmission, leather Seats, Power windows, locks and mirriors with cold A/C and MP3 adaptable Alpine stereo. This really is a respectable example of the Lotus sports car that graced the scenes of so many iconic movies! We appreciate the tasteful updated look like the rear facia with the center exiting exhaust system and the safety addition of the turbo timer to always allow adequate turbo calling time. Take a moment to browse the photographs and feel free to contact us with any additional questions. 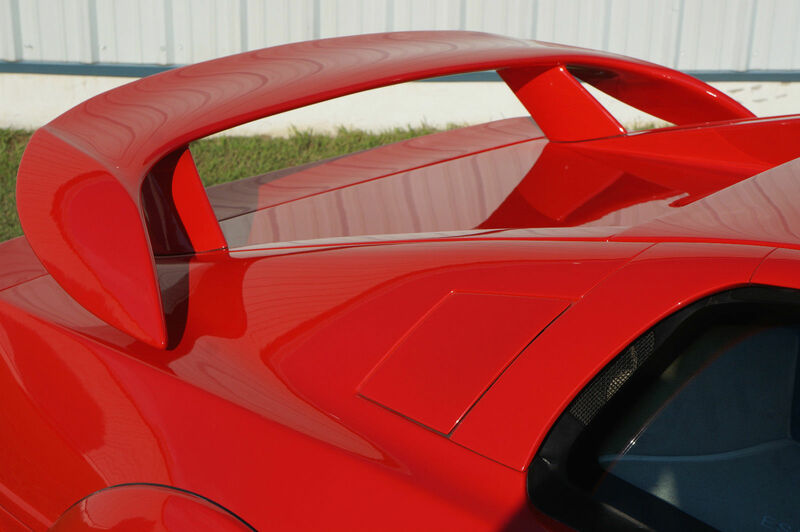 People often lump Esprits into two categories the the extremely angular original version designed by Giugiaro or the more rounded supercar version that Peter Stevens known for designing the Mclaren F1 Supercar. The Stevens version included Vacuum assisted resin injecton along with kevlar reinforced rood and sides. In ’93 Julian Thomson also did a revamp with mostly cosmetic improvements on the interior and exterior. In 98 the Esprit received a new rear wing, interior upgrades and a new gear box settee including an AP Racing clutch and hydraulics system and gear-selector improving the shifting experience dramatically. 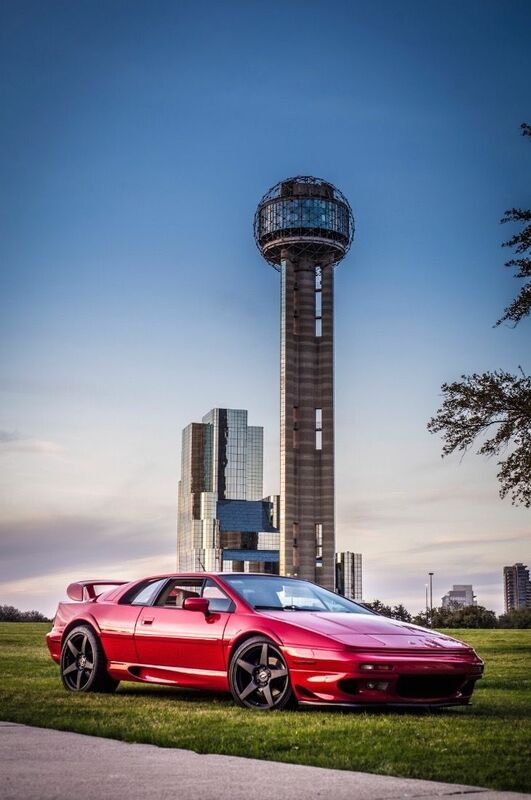 This vehicle is being listed by Flat Twelve Gallery, a licensed Texas Dealer, as seen on CNBC's television show “The Car Chasers”, and is located in Dallas, Texas. We have photographed this car, although if there are specific items you would like us to inspect please contact us before bidding. 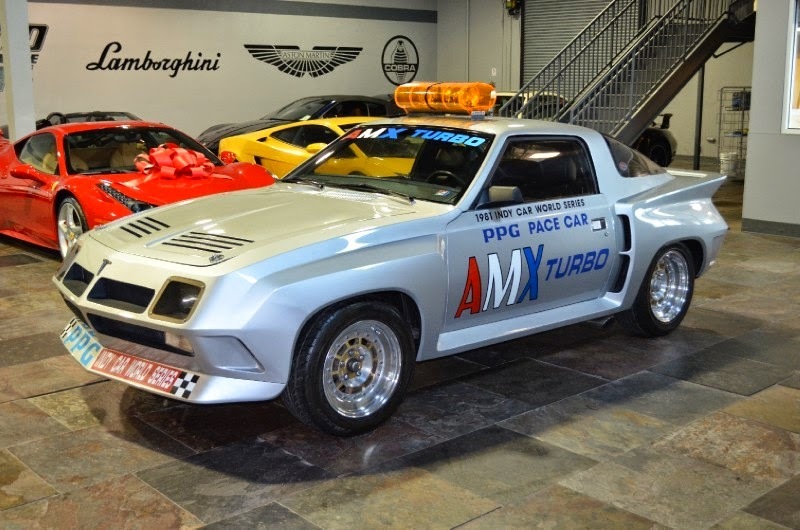 We have assisted in the sale of numerous celebrity and high profile vehicles including Bella's Truck from the movie "Twilight", The "Fast and Furious" S2000, The "Transformers" Sector 7 Sandrail and Charlie Sheen's Plymouth Fury to name a few. Please feel confident in our feedback and number of years that we have been conducting business on eBay, our descriptions, and the fact that people often write that our cars “Are better the described”. This vehicle is being sold as is, where is with no warranty, expressed written or implied. The car will be sold with a good title. The highest bidder after the reserve is met is agreeing to purchase the vehicle and NO RENEGOTIATION of any type will take place afterwords. Please ask any and all questions ahead of time, because what is important to you may be different then us and we recommend seeing your potential purchase ahead of time as your mental picture of the vehicle may be different. Pick up or shipping of the vehicle is a buyer’s expense. A $500 non-refundable deposit must be paid within 48 hours of auction end with Wire-Transfer or via Pay Pal, Balance is due within 5 days of auction end by Cash or Wire-Transfer. Please note, vehicle will not leave DALLAS, TX until ALL funds have cleared. No refunds, returns, etc. If you are planning on financing the vehicle, please arrange financing on this vehicle before bidding -we do not offer financing. Customers with zero, negative feedback, or less then 5 positive bid history must contact us prior to bidding or we reserve the right to cancel your bid. We reserve the right to contact the high bidders and request contact information. I do report all fraudulent bidders to eBay. We reserve the right to re-list or sell the vehicle in the event of a non-paying bidder. We also reserve the right to end the auction early. If buyer is outside of Texas, a $50 documentation fee will be collected in addition to the sales price along with ADV tax (appox $75) and a $5 temp plate fee. Documents will be faxed and signed and a drivers license copy will need to be sent over. For buyers in Texas, the above applies, along with collection of registration fees and sales taxes per Texas law.